G. Hebraud. Imp. 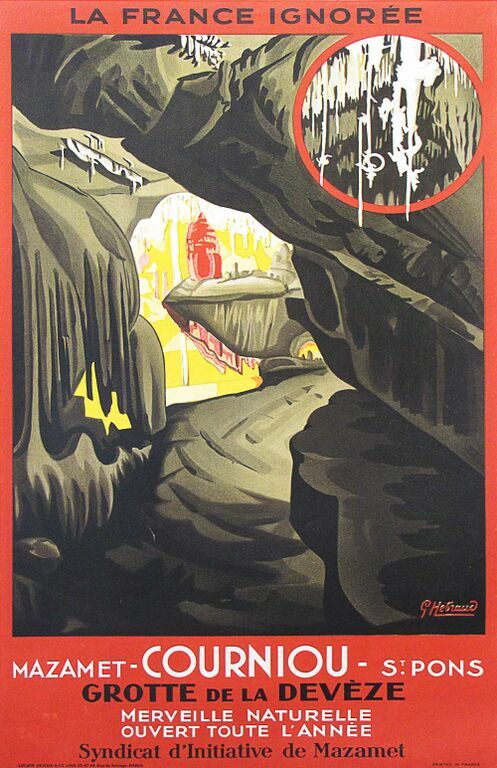 Lucien Serre and Cie.
An original vintage travel poster advertising both the town of Courniou and the Caves of the Deveze. A beautiful poster! Linen-backed.